... to draw upon in your time of need. Why Choose a Viatical Settlement Broker? When considering a viatical settlement, make sure that you know who has your best interest in heart as the life insurance policy holder. 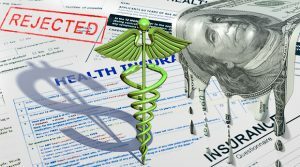 There is a difference in dealing direct with providers and using a professional viatical settlement broker. Specializing in addressing the needs of patients suffering from Chronic Disease, “Treatment Failures”, “Difficult to Diagnose” conditions, Cancer, Autism, Cardiovascular Disease, Neurodegenerative Disease, Environmental Toxicity, Heavy Metal Toxicity, Chemical Toxicity and Metabolism Disorders. 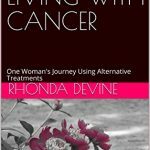 Natural Medicine For Cancer Patients • Chemo-Free Zone. Best Answer for Cancer Foundation’s mission is to improve the quality of life and treatment of cancer patients with a holistic platform, targeted cancer therapies, and a patient-centered approach. Let your journey to healing begin – and accept no substitute... from the creators and owners of Formula M.
A selection of key scriptures for the spiritual support of patients and caregivers. Health, Hope & Inspiration created by Cancer Treatment Centers of America. New 3rd edition. Up to date information about the fight against cancer... including what you must do and stop doing if you have cancer right now. Plus, what you must do for cancer prevention. 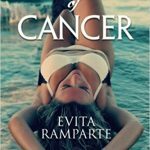 Ships with FREE DVD..
#1 Amazon Bestseller on Cancer by Evita Ramparte. Get The Book & FREE Coaching Videos. FREE Ebook & Audiobook. Reclaim Your Health. Reclaim Your Life. This book was borne out of social media posts where I chronicled my treatment plan and progress. Encouraged by friends, I am sharing my story so that others might find hope in the midst of a devastating diagnosis, especially those who have been deemed terminal by the doctors. Evita Ramparte shared Evita Ramparte's photo. Thrilled!! I just met Gregory W Albers from Kansas City. His company - Life Insurance Buyers - help seniors and cancer patients to sell their life insurance and get their money to enjoy, to heal, to rejuvenate, to travel. Such an inspiring business and such a great, caring person!! If you want to get a nice check from your life insurance - call them on Monday!! his company is helping people!! amazing solutions especially if you want to raise funds for cancer treatment!